I say this often to students, and have thought about this quote all this time in the context of the classroom. It has become part of my 'mantra' I guess when it comes to teaching. However, it recently struck me, what are we doing ourselves as educators? Many of us frequently connect in virtual environments where we can share resources, stories, and insights into our 'worlds'. For the most part we've all been able to connect with peers in our buildings, families of schools, or region in real life as well on a somewhat regular basis. 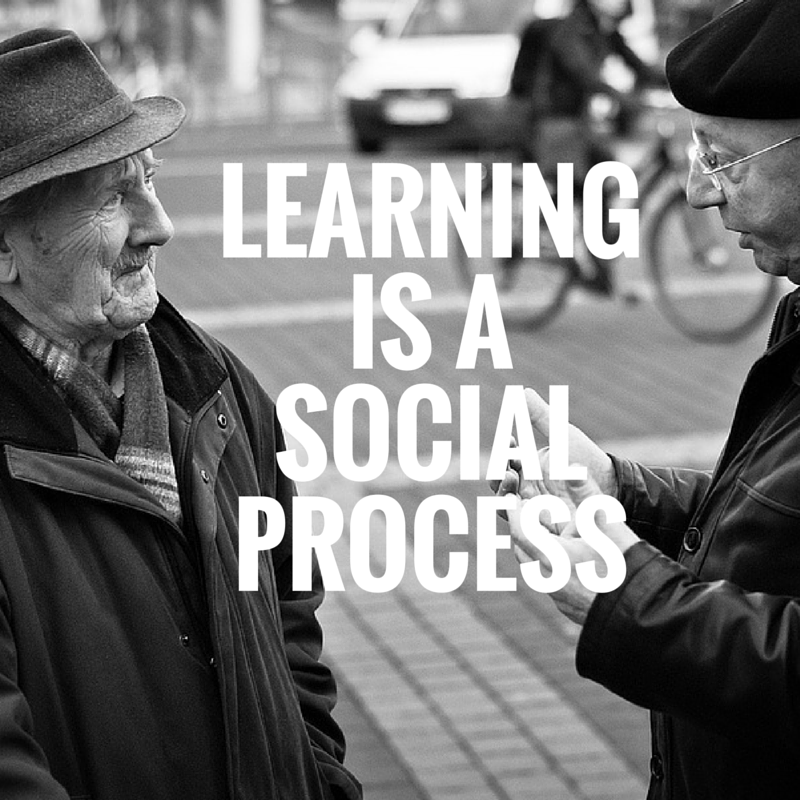 However, how many of us are lucky enough to have daily social interactions that push our learning forward? I have benefitted from working daily with others who have shared my interests, and passion. Being able to plan together, bounce ideas off one another, and take risks has been an incredible learning experience. I wonder some days where I would be in my own learning if I didn't have such a 'zone of proximal influence' (copyright all rights reserved trademark keepsies no takebacks). I don't think that is the kind of social learning that JSB was talking about, but imagine if everyone had this opportunity? What would the world be like?